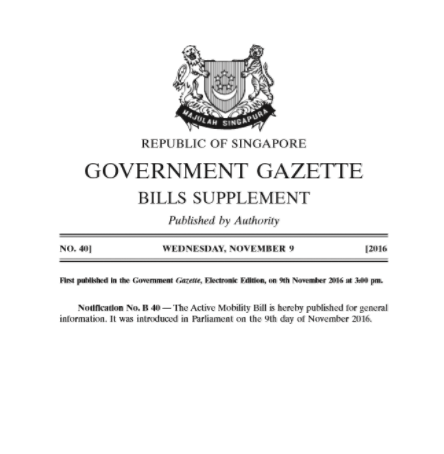 The use of Personal Mobility Devices is governed by the Active Mobility Bill in Singapore. It provides the legal framework for authorities to set the rules and regulations. See an embedded version below. The panel is made up of members from relevant communities and government departments. BWSS is represented by it's chairman Mr. Dennis Koh.